Enables Single-Chip Solutions to Address a Wide Range of Applications For Growing Markets Including the Internet of Things and Human Interface Devices. Cypress Semiconductor Corp. today announced it has qualified a Bluetooth® Low Energy (BLE) radio to integrate with its programmable platforms. Cypress will develop single-chip solutions combining this radio with its PSoC® programmable system-on-chip, industry-leading CapSense® capacitive sensing and TrueTouch® touchscreen technologies. These combinations will enable Cypress to quickly address emerging Bluetooth Smart applications such as PC peripherals, remote controls, wearable electronics and portable medical devices. “Additionally in the wearable market, BLE is a complementary technology for our TrueTouch products, providing designers with a true single-chip solution that integrates capacitive sensing, an analog front-end for biometrics sensors, and now BLE for power savings and smaller design footprints,” said El-Khoury. 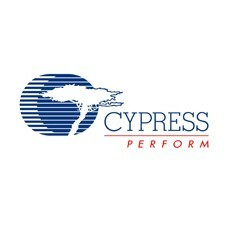 Cypress has qualified the BLE radio in its S8 130-nanometer flash-based SONOS (Silicon Oxide Nitride Oxide Silicon) process technology, which is the primary manufacturing technology for PSoC, CapSense and TrueTouch products. SONOS is compatible with standard CMOS technologies and offers numerous advantages, including high endurance, low power, and radiation hardness. The technology enables Cypress’s BLE radio to operate in the industrial temperature range of -40 to +85 degrees C.
Cypress expects to sample its first integrated BLE device in the first quarter of 2014.